Hey, what’s up traders? 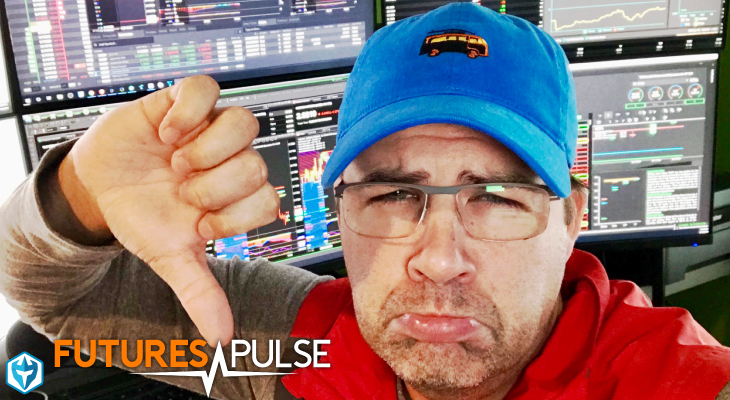 It’s trader Steve, Futures Warrior, TGIF, thank goodness it’s Futures and Friday. I’m all done trading for the day and another green day, three wins and over $1,500 in accumulated profits. We also had a good week. Four green days and just one red in the Futures Trading chat room. 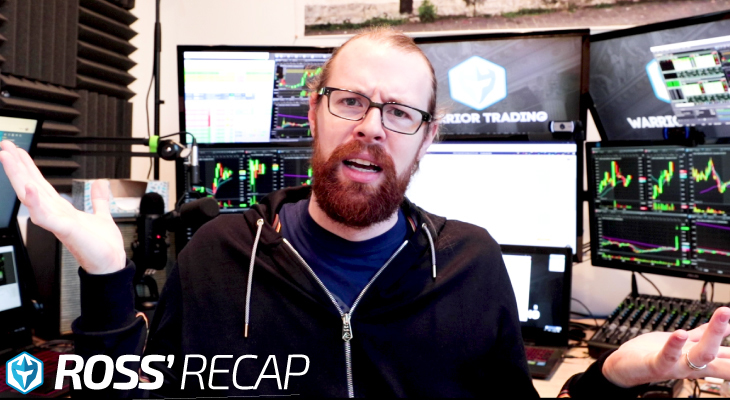 Before I get into the three markets that we traded today, want to talk a little bit about the markets that we saw this week. This week was all about taking what the market is willing to give, okay? It was a challenging market I think for a lot of traders that were looking for bigger gains and falling short and taking out max losses. So our strategy, which is largely breakout and we’re looking for volume gaps and voids to expose those areas through market profile, we had to be ready, willing and able to adjust our risk, which meant aggressively trailing stops when we saw the failed breakouts so we could retain capital and take what the market’s willing to give. But it also meant many of our winners were smaller. So our profits was due to a high win rate, high win rate this week, as well as taking those small wins that the market was willing to give and trimming our risk behind the trade as the market gave us indication that it was not going to follow through for what we would have hoped to been bigger gains in some of these trades. So another green week, let me show you how it went down today in today’s Futures post. Come on. All right. Should be seeing my charts up here. 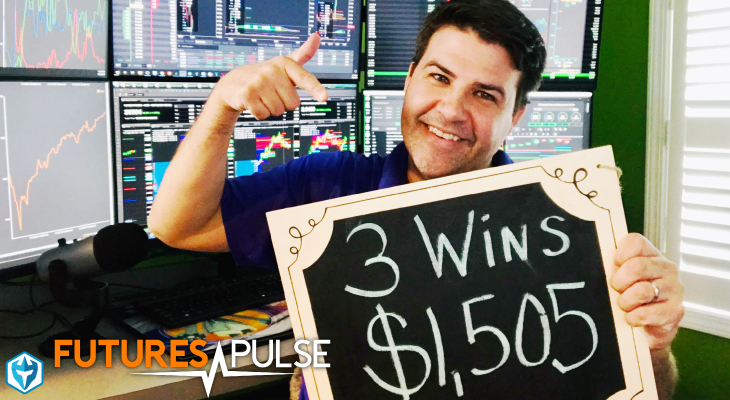 These are the three markets that we traded today, which was the June E-mini Dow, which is the $5 per point Dow index future. Then the middle chart, which we’ll get to in just a moment is the Australian dollar. Then last but not least, the copper market over there on the right. All three of these trades as you’ll soon see were short side trade, short breakout trades and the biggest of the bunch ended up being the mini Dow. So we’re going to look at that one first and that’s awesome. We ended up pulling 920 out of that. You can see there at the top and I’ll show you how we accumulated that. So we started seeing this market breakdown below that demands. Remember that green horizontal line represents kind of a bottom of a balance area so when the market breaks down below there, the market’s out of balance. We want to trade short and no long. So first decision, we eliminate one side of the market. In this case, we’re done with the long side. It actually was a good trade on the long side coming into the morning as well. While I was fast asleep. But again we took a short position. This demand area came in at 26, 366 right here. We ended up getting a nice feel on this one at 65, just a tick down below, which is ideal. We want to look for short positions where we have that demand zone or that level right up above our head there because that’s going to serve as a resistance point. Market gave us a breakdown below. So we initiated that trade. It was like 936 a little after the open this morning and then the market did give us the break. We were able to cover down at 336 for three units, three of the six I was able to cover, which was nice. Good start to the trade. We’re able to also cover, I’ll show you down here, so we’ve covered right down there and then we covered at 21, so 321 is down here. Then what we did is we trailed our stop down better than break even. We ended up bringing it all the way down to lock in 10 points at 355 versus 365 which is our entry. We got one tick of slippage on the way out. So we ended up covering that very last unit at 56 but again all told, $920 in under 20 minutes. When I end up looking at the logs for the day, that’s not bad, 920 bucks for under 20 minutes worth of work. So let’s move over to the Australian dollar which is the middle chart here. Now this was one, actually both the Australian dollar and the copper chart. I’ll confess to you here, I am going to talk you through why I took short positions and then I’ll tell you about why and how it ended up, these both ended up being profitable trades of which I cannot take entire credit for because life happened and on this bounce it worked my way. So a short position we took in the Australian dollar was nice one at 7189. Same construct as what we saw on the mini Dow. Again, we started seeing the market give us that breakdown. It was over here. Where is that [inaudible 00:04:19]? There it is over in here. We ended up getting 7189. I’m sorry, back here a little bit. There you go. 7189 was our short. This one had actually not a lot of risks. We had a 7205, I’m going off my memory here. 7205 was our stop. So it was $160 initial risk. Now, here’s what happened here. Market started kind of grinding lower. We had a couple of points, okay. So I did have just a three unit on that one. So we had two points and then I had to go pick up my daughter, okay. So that’s how I ended up scaling out of this thing here for 60 whopping dollars in the Australian dollar. Had two points on it right about the time I had to abort the screens and if I’m not able to watch the screens, if I’m trading intraday, typically will clean up and come back if I still like something that can re-initiate the trade. So that actually worked out good for me on the copper as well because what we did on the copper was a very similar story. We took the short side at 29370. Same idea here. We were starting to break down below our demand zone. You can see it right there and market started riding lower and right about that same time again, I got the phone call that I got a little six year old I got to pick up at school. We were able to cover at 35. So that was when the market was coming down here, down, down, down, down. We’re able to cover that at 35 and that actually equals 525. So that’s what you see on the board there for 525. So he put it all together 1500 bucks. I can really only take credit for the mini Dow one and a little bit of lady luck, I guess pulling me away from the screen to be aggressive on that trade. Now I could tell you what the benefit of hindsight looking at the chart. There definitely was opportunities for exits anyway. Here, you could see right here that close back inside that value area. When we close back inside those balance or fair option areas, again, below the red, above the green, those are great places to scale out anyway. So I guess there’s no way to really go back in time and know what I would’ve done if I would’ve choose my own ending a different way. But it is what it is. I’m just telling you that’s how it went down. That’s called life. So anyways, I’m excited about what’s going on. I think we’re going to continue to have really good volatility in these futures markets and I think it’s showing up in the results. A lot of the folks in the Futures Trading chat room reporting some successes that are even surpassing me as the coach, which is great. I love to see that. I’m like a proud daddy in that situation. So keep up the good work if you’re watching this and you’re in the room. 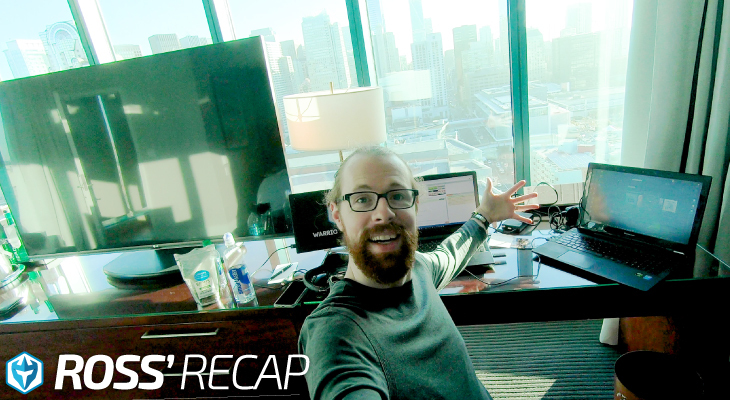 If you’re not in the room and you’d like to join us, remember, you can be back live with me on Monday and Monday through Friday every morning, learning how to trade futures and learning how to do it prudently with a technical method that I’ve deployed for over 16 years. All right, folks, have a great weekend. Do something fun. Do something healthy. I’ll meet you back at the markets on Monday. So long. Hey, I see you there. 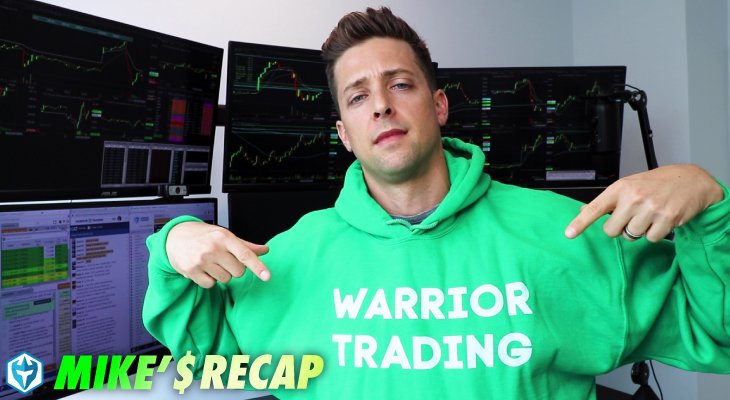 If you enjoyed that video, give me a thumbs up and leave a comment down below and be sure to subscribe for more great videos just like this from Warrior Trading.